As a long time resident and a grand parent, I have been pleased to see the formation and growth of the Piedmont Makers organization. From my viewpoint, it is the result of the coming to our community of many families working in the High Tech Area: engineers, product managers, designers, marketing people, and entrepreneurs. They understand that the foundation of the Bay Area Economy is creativity, and that creativity is rooted in the arts, in engineering, and in the laws of physics that underpin engineering. 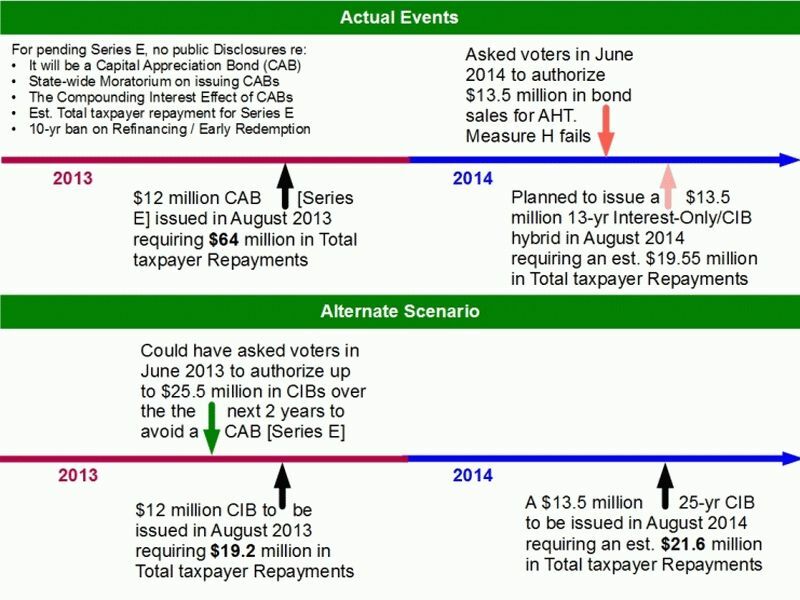 In previous articles I've talked about how Capital Appreciation bonds (CABs) allow the School District to borrow funds without making payments to the creditor (bond investor) for many years. This arrangement tries to keep the tax rate level but stretches out repayment (and raises total repayment costs). One effect is to shift tax liability away from residents leaving Piedmont and onto residents who move in with higher property assessments. Piedmont does not have any public libraries within city boundaries. We have very descent school libraries that are currently closed during the weekends. We cannot ask the District to spend money to keep the libraries open during the weekend since our reserves are dwindling. Parents could form a business entity to rent the libraries and staff them. The business entity would need to cover the facility rental fee, damage deposit and cleaning fees. Parents could decide to volunteer to staff the libraries in lieu of hiring staff.